Everyone's Story welcomes back with much fondness author Sandra Orchard. I've been watching Sandra grow from debut author to now a multi-award winning author and if it's been fun for me can you imagine what it's like for Sandra? This week Sandra answers a few questions and shares a blurb on her new release BLIND TRUST--which is also her Giveaway Novel. Drop Sandra a comment--she's looking forward to hearing from you. Sandra is offering one copy of her newest romantic suspense novel BLIND TRUST, Book 2 of the Port Aster Secrets Series, as a Giveaway Book to one randomly chosen commenter. The winner will be announced here on Friday, May 30th, between 5-6 PM EST. To be eligible, please leave your contact information within your comment. Thanks! I’ve roomed with you when you were a debut author and have hosted you twice prior to this present guest appearance. While others have watched you grow as an author, what changes have you noticed in yourself as your writing career has flourished? And honestly, I’m probably more insecure about my writing than ever. Not sure why that is, but at least it keeps me on my knees. And I always feel totally blessed when the story finally comes together, and all the more when I hear from readers who’ve enjoyed it. When did the passion for writing plant itself in your heart? Was any one person or event a trigger? Yes, seeing two of my stories typed up in the school yearbook when I was in grade one planted the desire in my heart. Having my husband comment on the piles of books in our bedroom thirty years later, and saying I should write my own, triggered the adventure of fiction writing. Little did he know how many more books I’d accumulate as a result! Tell us some about how you write: Do you work in faith elements around the suspense plot or the suspense around the faith core? With the exception of Critical Condition, all my books began with the suspense plot. I then created characters that would grow in some connected way to it. In my medical suspense, Critical Condition, I wanted to explore the question: how do you believe in God when he doesn’t seem to be answering your prayers? My hero had lost his wife to cancer and she’d made him promise to not blame God. My heroine had been abandoned by her husband soon after their first child was born, and as a nurse, often saw people’s heartfelt prayers seemingly go unanswered. The backstories gave rise to interesting conversations within the book, ones that were being mirrored in my own life at the time, as I lost a dear writing friend to cancer while writing it. Please share with us about your June release, BLIND TRUST. Where is it set? Any intriguing suspense points? What kind of research did you do? Blind Trust is the second book in my Port Aster Secrets mystery series set in a small fictional town in Niagara. The heroine is an herbal researcher caught up in a counterfeiting mystery and the deepening mystery surrounding her father’s death that appears to be connected to the big bad pharmaceutical company that wishes to partner with the research facility where she works. So…I had to do a wide variety of research, including how bills are counterfeited, which isn’t easy with Canadian bills. Sadly my editor recommended keeping those details to a minimum since they’d be foreign to American readers. But…if you’re interested, I blogged about it on ICFW this past Tuesday. I also delved into herbal remedies and unusual poisons and a myriad of unethical and sometimes illegal things pharmaceutical companies tend to be accused of doing. All were great fodder for the series. As a reader, what frustrates you as you turn pages in a novel? I wouldn’t say things frustrate me so much as make me skim. The first is repetitiveness. I usually read a book in two to three days, so I don’t need to be reminded repeatedly about a character’s romantic conflict or issues. What’s it like to have your youngest daughter striving to become a novelist? Tons of fun! I love having someone in the house I can talk shop with. We write totally different genres so we’re not much help to each other in brainstorming, but we understand each other’s trials and tribulations and joys. She’ll commiserate when I have uncooperative characters, and whereas the rest of my family were happy for me when I got my first book contract, Jen alone jumped and squealed and hugged me with pure abandon. If you had oodles of spare time, hitched with no worries, what 3 novels would you re-read, and why? Hmm, considering I have a bookshelf full of books I have yet to get to, not to mention, an overflowing Ereader, I’d probably devour many of those that I’m itching to read. But if I could only choose from the shelf in front of me, I’d say one of Karen Witemeyer’s historicals, one of Susan May Warren’s Team Hope or Noble Legacy romantic suspense, and Lisa Wingate’s contemporary romance Word Gets Around, because I loved those books and these talented authors have inspired me time and again. You can also check out Sandra's August '11 visit on Everyone's Story and her September '13 visit. 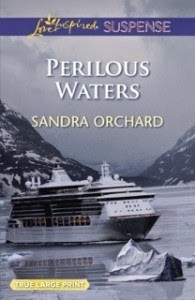 Sandra Orchard is a multi-award-winning Canadian author of inspirational romantic suspense/mysteries with Love Inspired Suspense and Revell. 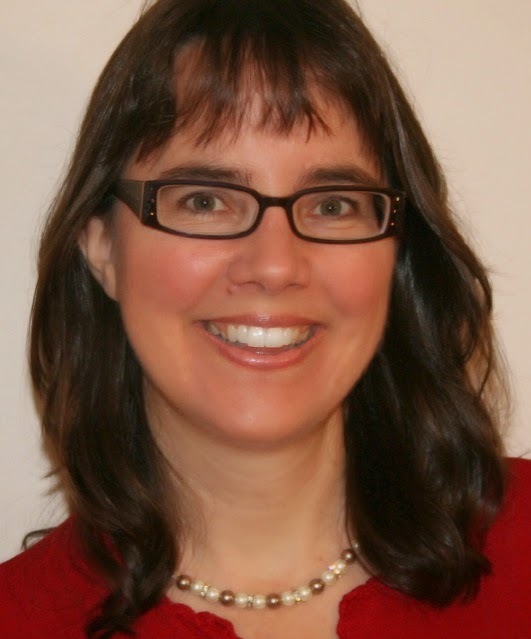 An active member in American Christian Fiction Writers, The Word Guild, and Romance Writers of America, she enjoys helping writers hone their skills. 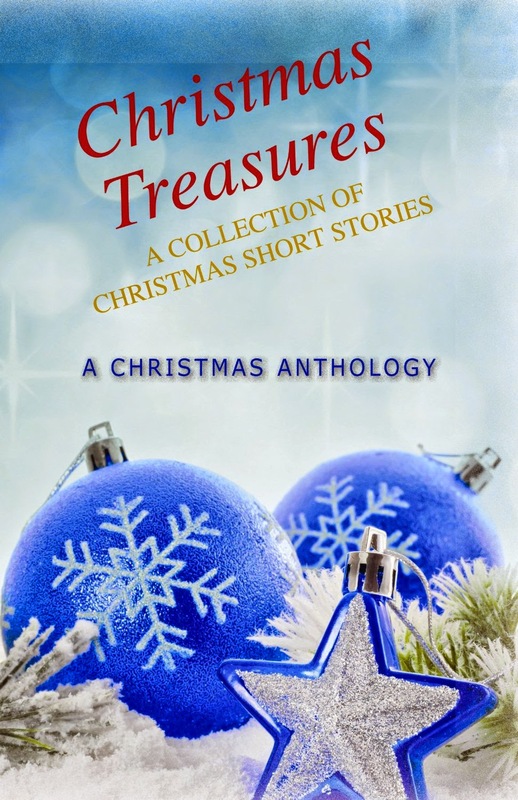 Learn more about Sandra’s books and check out the special bonus features, such as deleted scenes and location pics, at http://sandraorchard.com. Okay, Elaine, I'm rooming with Sandra at Writer's Police Academy, so I need the skinny. lol Always love learning more about Sandra. It would be so neat to have someone in the house I could talk shop with! Oh, Pat, what a funny small world this is. You will enjoy Sandra's roomie company… just make sure your name is also on the room's occupant listing (wink wink, Sandra). LOL, I don't think it is. I booked the room. But I did give you the confirmation number, right Patricia?! I've been immortalized on the 2011 ACFW CDs as the author who locked her roommate out. But honestly its 'cause they couldn't find me in the computer. There's a good reason for pen names! On the conference CDs, huh? So funny! Yes, my roomie from the following year, emailed me to say she'd just been listening to the main session tape and heard the whole thing. I came in late so I'd only just walked into the auditorium. Thank you for sharing this delightful interview! 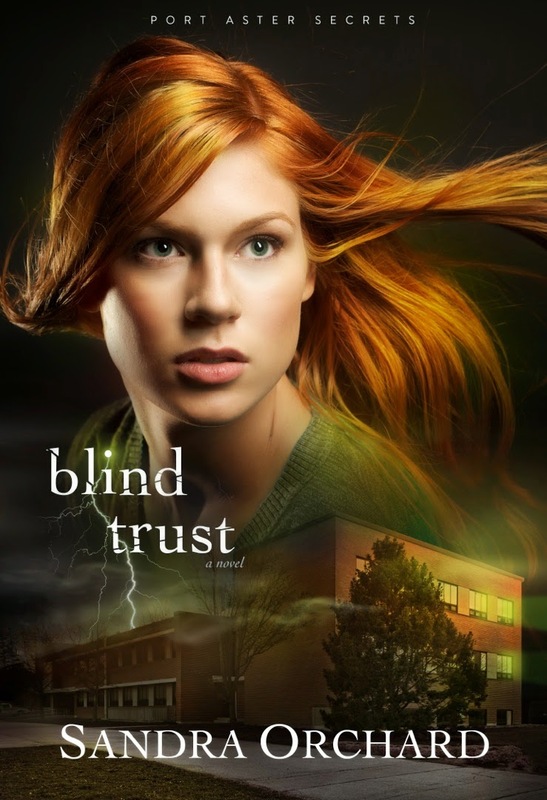 BLIND TRUST sounds quite intriguing and I look forward to reading this series. Britney, thanks for visiting Everyone's Story. I'm glad you enjoyed the interview. Do check back for Sandra's reply. Great to see Sandra appear again on Everyone's Story, Elaine. Congratulations Sandra on your continued productivity. It's no easy feat to keep producing good suspense stories. Wishing you every success with Blind Trust. And Ian, it's nice to see you once again as well. Sandra, Ian lives in Australia, if by chance you didn't know that. Can't wait for Blind Trust to arrive! Loved the first book, Deadly Devotion. Lisa, it's fun getting to know your reading interests. As always, thanks for visiting. Elaine, it was a bit of divine intervention how Lisa wound up getting hooked on this series. And the email she sent after she read Deadly Devotion made my week! Elaine, I'm counting on you going to ACFW, and can't wait to share the experience with you! Have a great weekend, Ladies. This was a very good interview, I do really enjoy read about author. This is a good way to know the author, and some of the ways that they write to tell a story. I am going to have to add you on to my TBR list. Nice to see you again, Gail. Enjoyed the interview. I would love to win a copy of the book. Wilani, thanks of visiting this evening. You're in the drawing. Lovely exotic name--is it Hawaiian? Great to see you here, Wilani! I enjoyed reading your interview and I have already added series to my want to read list. Ah, what a clever way to avoid the need to publicize an addy. Thanks for adding the series to your reading list! Are', thanks for your visit. Glad you enjoyed the interview. Hope to see you again. Steph, thanks for visiting with Sandra and me. What a dilemma for Sandra--one I'm sure she'll smile about. I always have room for another book! Joan, well said! Thanks for your visit. Patrice, thanks for visiting. Please leave another comment that includes an email address so you can be put into the Giveaway drawing. Thanks. I'm so disillusioned. You want to smother the lady who spends too much on shoes. Just name her Terri. Sigh. Looking forward to reading Blind Trust! Terri, I appreciate your visit and hope to see you again. I'm sure Sandra can make an exception for you when it comes to the shoe thingy. Sara, I love when you visit! My husband was actually looking over my shoulder (Sandra, feel honored!) last night at Sandra's interview and also LOL'ed at the pillow image. Have fun at the police academy. Some day I'll get down there. Katy, thanks for visiting. Hope to see you again. No, not just you, Katy ;) And yes, try to get to WPA, it's tons of fun! Have fun. I hope to win. Thanks for your visit, Virginia. If you have a moment, please leave your contact info in another comment so I can email you if you were to win in Sandra's Giveaway drawing. Thank you. Sorry, I forgot my contact info. It is the readmaster@me.com. Still hope to win. Thanks, Virginia. I'm glad you took another look. Have a great day. Great interview....always enjoy one with Sandra! And I love her books! Jackie, hearing you enjoyed the interview makes me smile. Thanks. That was a great interview! I am pretty firmly planted in the no overkill when it comes to clothing as well. I think it is okay to drop it into a story, but I too have had to look up clothing before. One author kept mentioning her character always wearing a certain kind of top and sweater combo, and I finally had to look it up. The funny thing is, I can't even remember what it was called in the first place. It was distracting. I don't like anything that pulls me out of the story. Anyway, this series looks great, and I can't believe I haven't read the first! I'm going to have to get on that. Thanks for the interview and chance to win. Have a lovely weekend. Welcome to Everyone's Story, Kelly. Do visit again. As a writer, I'm loving all this conversation about what readers enjoy in a story, or not. Glad you enjoy the interview. May you also have a wonderful weekend. LOL at the thinner hair and ten pounds. It's not just me then. And I'm not even published yet! Love Love LOVE those covers for the series! Hi, Autumn. I guess I'll stop worrying about my less-than-stellar shaped thighs and frizzy hair if these are all indications that I'm prioritizing my writing. LOL. Oh, and do leave another comment with your e addy. Thanks. Chris, thanks for visiting today and for your sweet words. Blessings to you--and to everyone--as well. Blind Trust sounds great! Thank you for the interesting interview and giveaway. Melanie, thanks for visiting. I'm glad you enjoyed the interview. Do check back later for Sandra's reply. You're welcome, Melanie. I appreciate you stopping by. Looks like a good book to read on summer vacation. Sonflower, thanks for visiting. For me, every book looks like a great read all year round. Hope to see you again. It's interesting that our hair gets thinner while our waists get thicker, instead of the other way around. How llovely it must be to have a daughter who wants to follow in your footsteps. Thanks, ladies, I enjoyed this interview very much. Oh, and I agree with the irritations you pick up in other novels sometimes. Paula, it's always a joy when you visit! Oh, wouldn't the other way around be wonderful? :) Thanks for visiting! Sandra, you're one of the Canadian authors I had actually heard of before I joined The Word Guild, so it's been a pleasure to interact, at least a bit, on Facebook with you! I have just finished "Perilous Waters" and am just starting "Deadly Devotion". It would be great to have the next book in the Port Aster series ready in the cue! I can be reached at srmeadows@sasktel.net. Thanks for visiting today, Sally. Sounds like you enjoy a great suspense novel! Hope to see you again. Hi, Anna. If you could, please leave another comment with your contact info included. I'd love to enter you in the drawing. I would enjoy reading this book. Sounds interesting! Connie, I appreciate you stopping by today! Hi Connie, nice to meet you! Great interview! With more books becoming movies do you ever see any of your books becoming a movie? If so which one would you love to be made into a movie? Annie, thanks foe visiting. Happy to hear that you enjoyed the interview. I'm looking forward to Sandra's reply to your question. Sounds like a good book. I read lots of mysteries but can't remember reading one that mentioned counterfeit money. I love chocolate too, especially brownies, cake, or cookies. I also have tons of books that are to-be-read. Michelle, I'm so glad you've visited today. Sounds like Sandra's novel(s) is perfect for you. Sandra, thanks for guesting on Everyone's Story this past week. I had a ton of fun and I'm thinking so did the many viewers and commenters that visited with you. As the first two times you were here, you've enjoyed many international hits and I sincerely hope that this blesses you with many more adoring fans. Connie! Exciting news, Connie!! Both Sandra and I will contact you shortly on how best to get the novel to you. Enjoy. Elaine, thank you for having me. It has been a pleasure! And congratulations, Connie! I can't wait to read Blind Trust! Alexa, may you have many hours of happy reading! Thanks for visiting. Elaine, if this is okay to post for anyone who might have subscribed to comments. I just learned that the first book in my Port Aster Secrets series, Deadly Devotion, will be available for only $2.99 in most Ebook formats from June 1 to 7th and the Ebook version of Blind Trust will have a special price for the month of June, too. It's very okay to post, Sandra. I love to help you! Everyone's Story hosts a new guest each week from Friday-Friday, dedicated to uplifting the reader, writer and all in-between. Enjoy your visit! Elaine Stock never expected that a college major in psychology and sociology would walk her through the see-saw industries of food service and the weight-loss business; co-ownership with her husband in piano restoration; and ten years in community leadership. All great fodder for creating fiction. Please see the Bio page tab on this blog for more details. 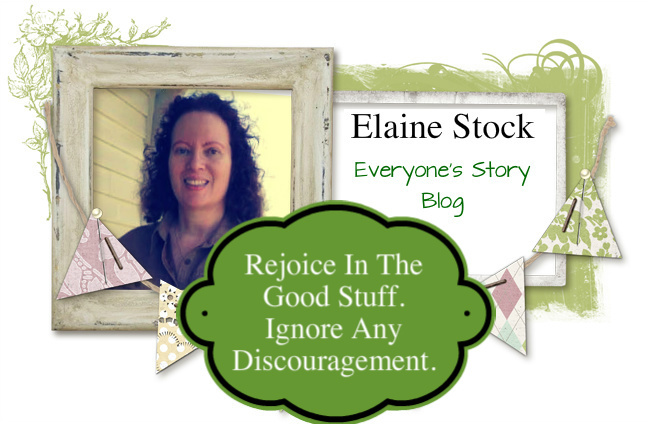 Copyright © 2015 by Elaine Stock All Rights Reserved. Picture Window theme. Powered by Blogger.